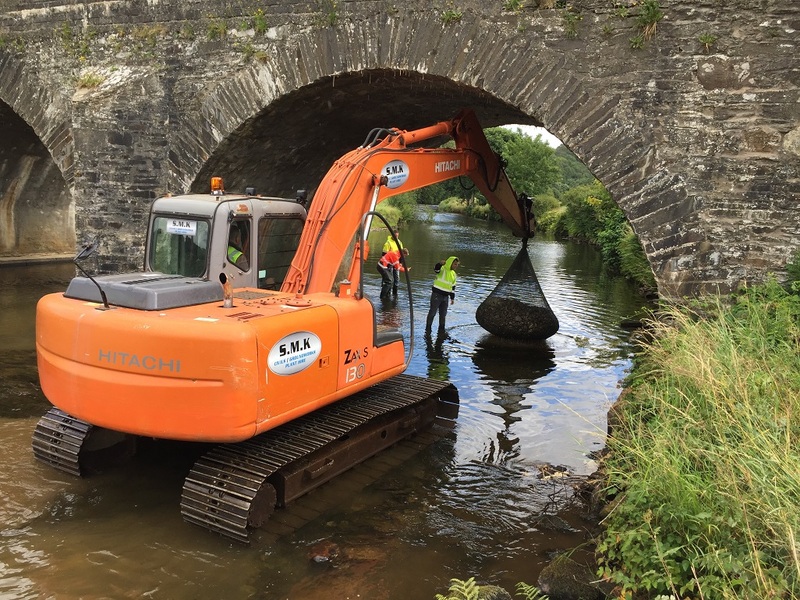 Following the floods of August 2017, the Department for Infrastructure (DFI) (western region) have been surveying a considerable number of bridges in the counties of Londonderry and Tyrone. 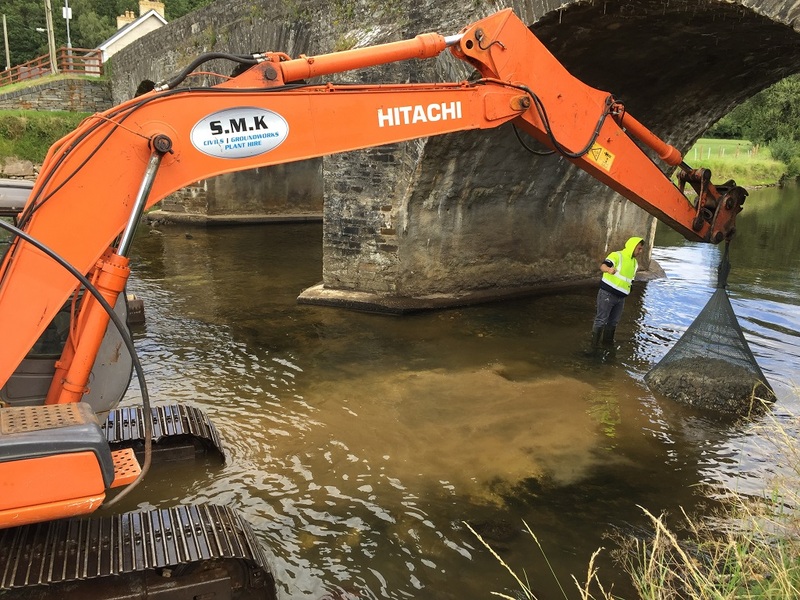 Several bridges were significantly scoured therefore requiring scour protection to be installed to prevent further erosion. 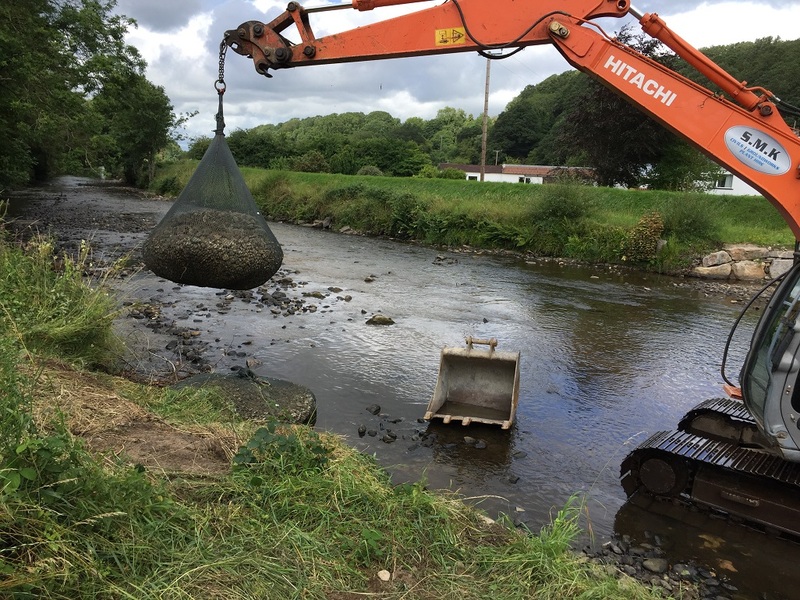 Installed by DFI’s preferred contractor on several bridges to date, our Filter Unit Rockbags have again proven to offer a more versatile option than traditional methods, especially for bridges with restricted access. 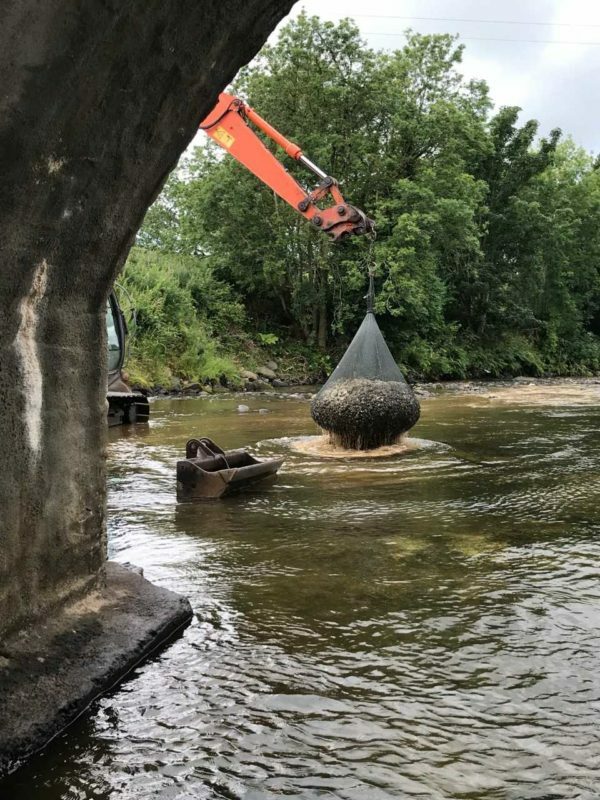 During this sequence of bridge protection works the filter unit rock bags were filled on site, easily lifted and manoeuvred into position with reduced plant machinery making it a very versatile and cost-effective method. 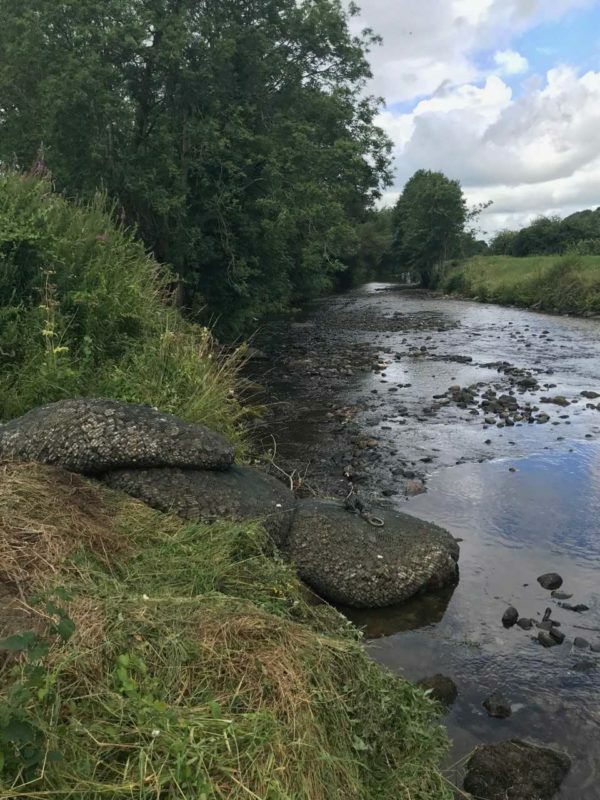 Made from 99% recycled polyester and filled with locally sourced river cobble stone, the product offers a more environmentally friendly solution that is proven to harness that natural marine environment. 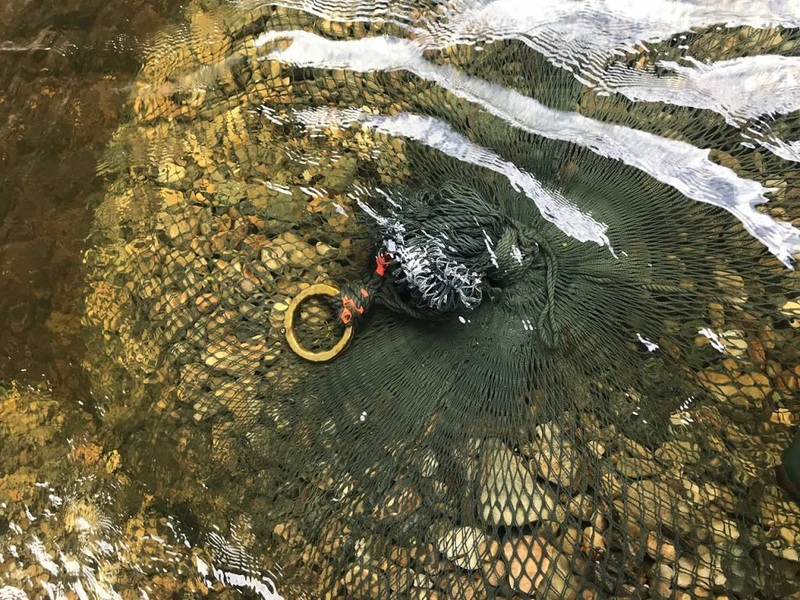 Equip with its bespoke one-point lifting ring it allowed scour protection to be accurately placed next to the exposed bridge foundations easily adapting to the local river bed topography. 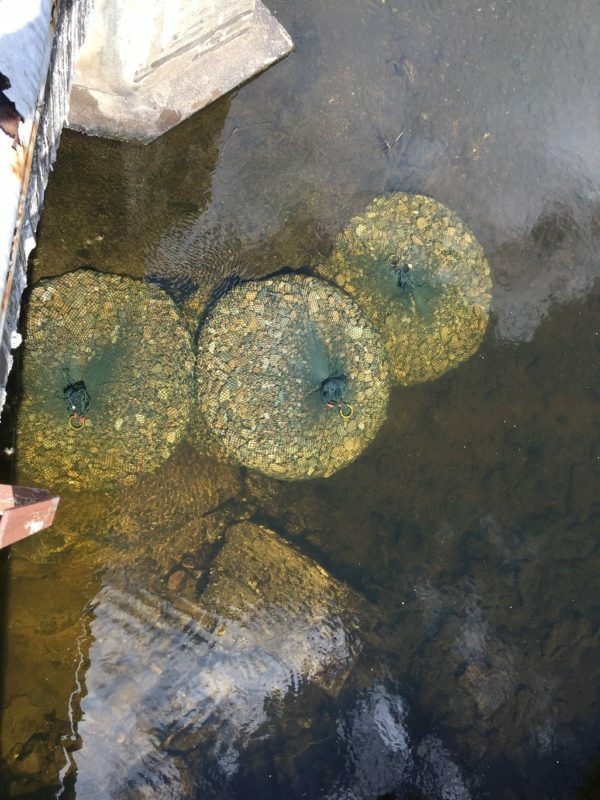 Please click here for more information on our Filter Unit Rockbags. 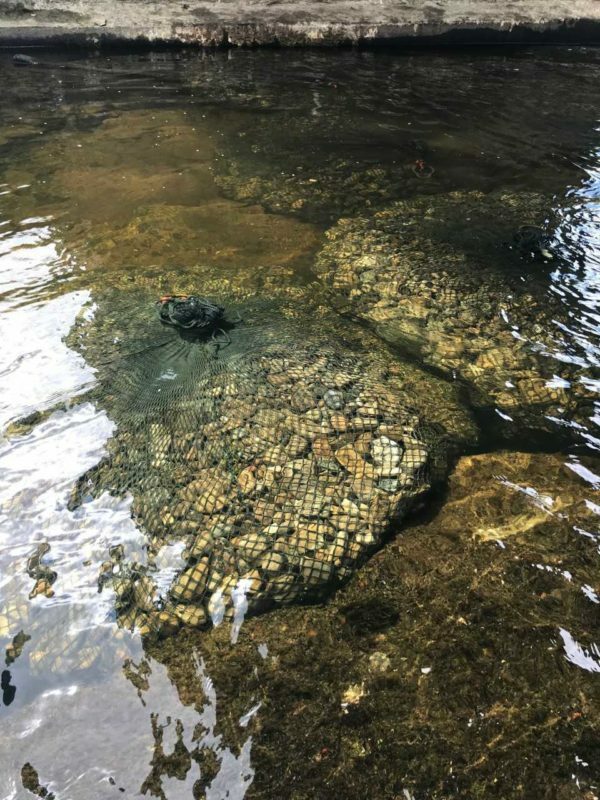 If you would like to speak to a member of the Ridgeway Marine Team please call Belfast +44 (0) 28 90 454599, Ashbourne +353 (01) 802 7173 or email info@rockbags.co.uk.